Happy Canada Day weekend to all my fellow Canadians! This long weekend was very needed and also a lot of fun. I'll be doing a weekend follow-up post in the middle of the week. Right now my camera battery is charging and I don't have the energy to start sorting through pictures. For now I will share with you some of the yummy baking I've been doing. Cream margarine or butter with brown sugar in a large bowl. Add cocoa and beat well. Add egg and almond extract and beat until smooth. Combine flour and baking soda in small bowl. Add to butter and egg mixture and mix until no dry flour remains. Add white chocolate chips and almond slices and mix well. 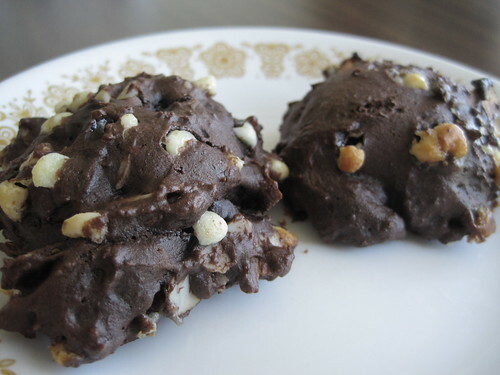 Using a tablespoon, drop cookie batter onto greased baking sheets about 2 inches apart. Bake for 10-12 minutes until firm. Remove cookies from baking sheet to wire racks to cool. These cookies turned out to be really yummy. 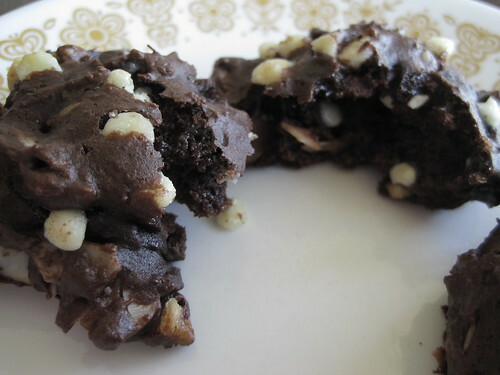 I love the almond and chocolate flavours mixed together and the cookies were really soft and fluffy. Since we'll be moving this summer, we're trying to make sure we use up and eat up some of the random treats and baking stuff that's in our pantry. I had a leftover gingerbread cookie mix from Christmas so I made us some cookies. 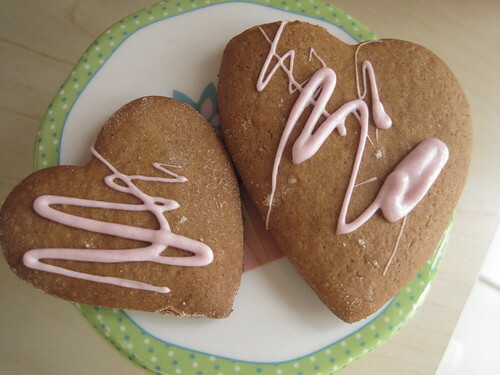 Gingerbread cookies are one of my all-time favourite cookies. 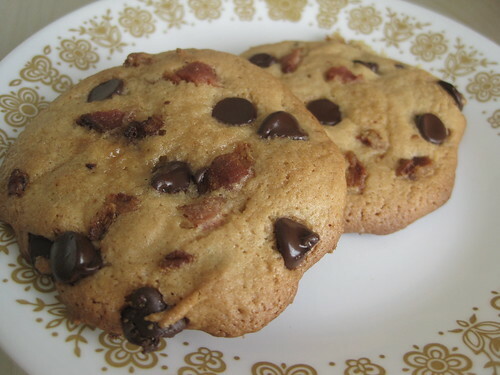 For Father's Day, I made up a batch of Bacon Chocolate Chip Cookies to give to my Dad. I have been wanting to make these for a while now and Father's Day was the perfect reason to head out to buy some bacon. Of course I had to try them and, honestly, they were so good! The bacon and chocolate work great together. I'm definitely going to whip up some maple bacon cupcakes at some point now too. Check out my post on Nerd Junk Food for the recipe. I hope everyone enjoyed their weekend, whether you have today off for the holiday or not. I'm a big fan of sweet and salty... I love chocolate covered peanuts and pretzels! Thanks! I've been baking too many cookies... it's so not good for my tummy.